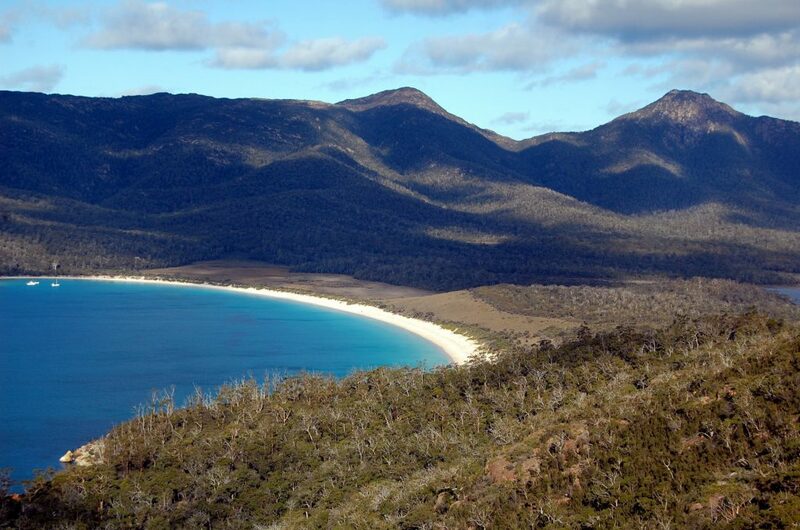 Tasmania’s breathtaking Wineglass Bay Circuit offers one of Australia’s best single-day hikes. Located in Freycinet National Park, the climbing track is home to various lookouts and scenic rest points, providing sweeping views of the entire Bay. Covering approximately 12 kilometres, visitors should allow four-to-five hours to complete the walk. Upon completing the uphill climb, descend toward Wineglass Bay. There are many steep sections, so wear appropriate shoes and be cautious, particularly in wet weather. To complete your adventure, enjoy a picnic lunch on the beach and have a swim to cool off. 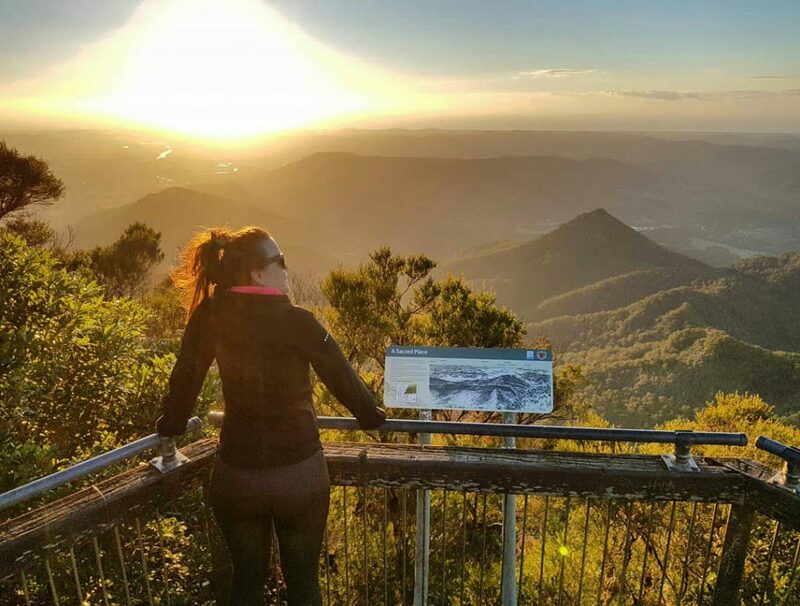 Mount Warning, located about half-way between the Gold Coast and Byron Bay, provides impressive views of the stunning NSW Northern Rivers region. If skies are clear, the golden beaches of the Australian east coast will be visible. Nestled in the Rainforest Park and hidden amongst dense bushland lies a popular climbing track for eager explorers. Sunrise is arguably the best time to hike the mountain; you’ll be rewarded with stunning views. Stretching almost 9km, this climb takes approximately five hours to complete. Despite the lengthy trek, it’s an unforgettable adventure. Comprising thick vegetation and uneven rock surfaces, it’s crucial you wear and bring suitable equipment. Your phone torch won’t save you this time! 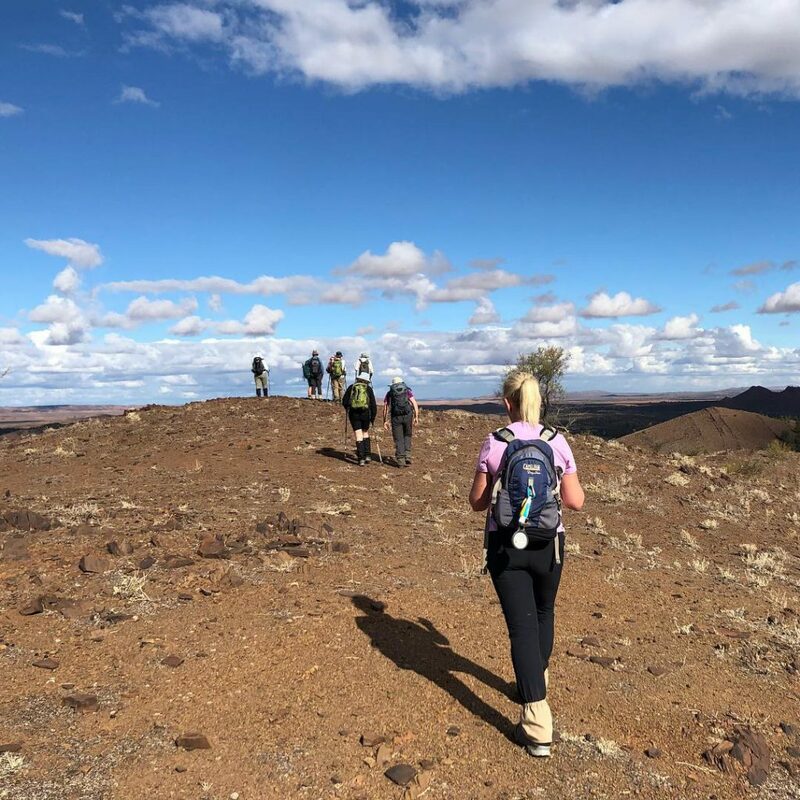 If you’re chasing the ultimate hiking adventure, you can embark on a guided overnight tour including a bonfire, accommodation, camping equipment and all meals. 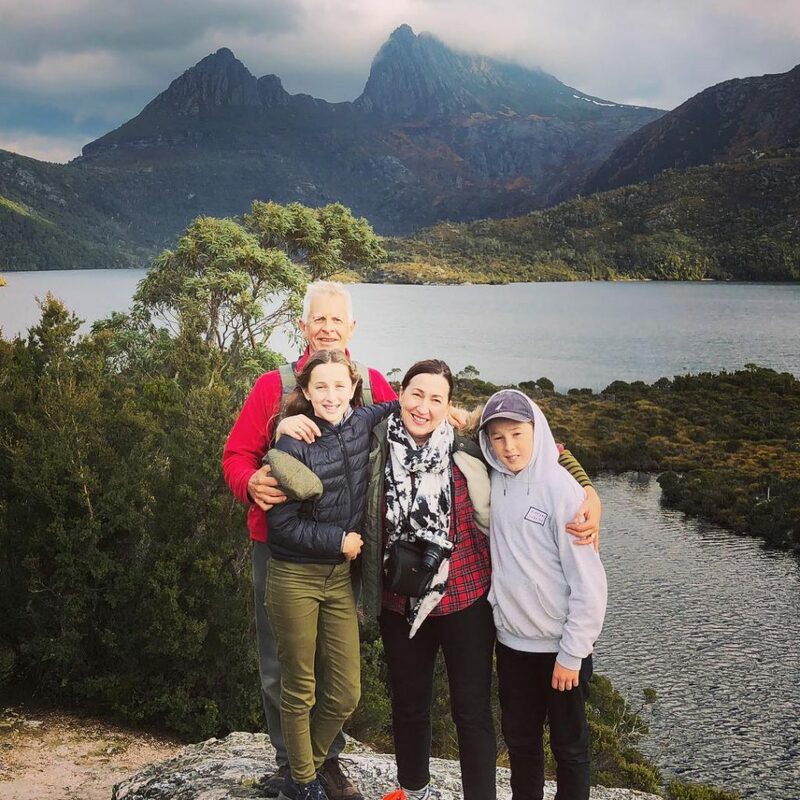 Tasmania’s Dove Lake Circuit, located at the base of Cradle Mountain, is one of Australia’s best-loved walking tracks. Suitable for all ages and abilities, this short and relatively easy track is often populated with adventure-loving families. Most of the trail is a flat boardwalk, with one moderate hill. Following the lake’s border, the track takes you around and beneath Cradle Mountain. Along the way you’ll pass several hidden treasures including Glacier Rock, Ballroom Forest and the Boatshed – don’t forget your camera! Explore the area at your own leisurely pace or embark on a guided tour. Crowned one of Australia’s most rewarding climbs and Western Australia’s top walking trail, Bluff Knoll is a tourist magnet all year round. Bluff Knoll is the third highest peak in Western Australia, and is located in Stirling Range National Park. This 6-kilometre trail offers spectacular views of the surrounding region. Along the way, you’ll discover abundant wildflowers, reptiles, birdlife, geological formations and exceptional views of the Stirling Ranges. Mountain mists, wind chill and heavy rain can occur on the mountains at any time, so keep that in mind when preparing for this hike. Overnight walks are also available when weather conditions are favourable. Winding through rugged and ancient landscapes, the Larapinta Trail is one of the Northern Territory’s greatest treasures. Wave goodbye to Alice Springs as you head westward toward Mount Sonder. Along the way you’ll pass through the beauty of Simpsons Gap, Standley Chasm and Ormiston Gorge. Home to waterholes, sacred Aboriginal sites and stunning rest stops, you’re in for quite the adventure. Although the area covers approximately 200 kilometres, you can attack the hike in sections. 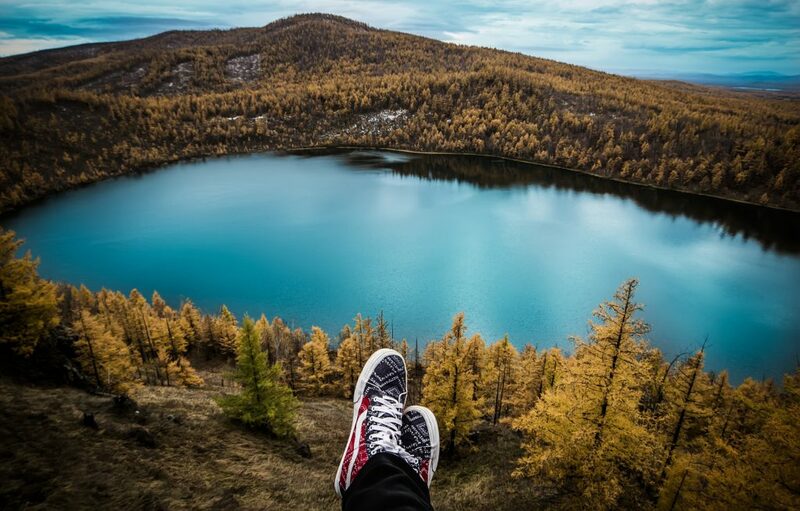 Wear appropriate shoes and snap plenty of images – the photo ops are endless here. 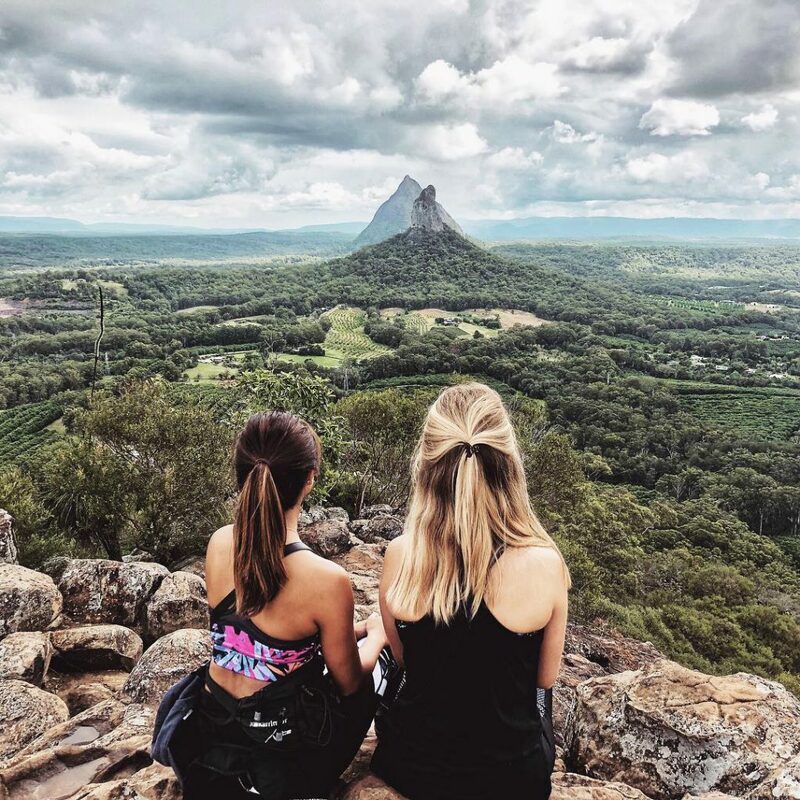 Located an hour’s drive from both Brisbane and Noosa, the Glass House Mountains bring thousands to the Sunshine Coast. The mountains provide stunning scenic views of the surrounding hinterlands. Fun fact: the mountains were formed around 26 million years ago from volcanic activity. 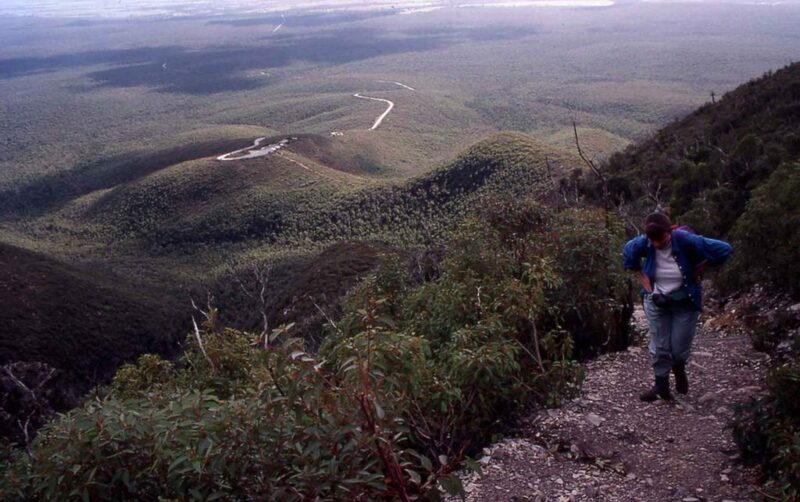 Mount NgunNgun is the most popular summit to climb due to its relative ease and stunning views. Suitable for families, this walk takes approximately 90 minutes to complete. It comprises mountain vegetation, scenic lookouts and several rest stops. Be sure to wear appropriate shoes as the hike requires some rock scrambling toward the end. If you’re looking for more of a challenge, we recommend completing the Mount Tibrogargan hike; suitable for experienced climbers. This three-to-four-hour walk is definitely worth the effort, offering breathtaking views of the Sunshine Coast region. 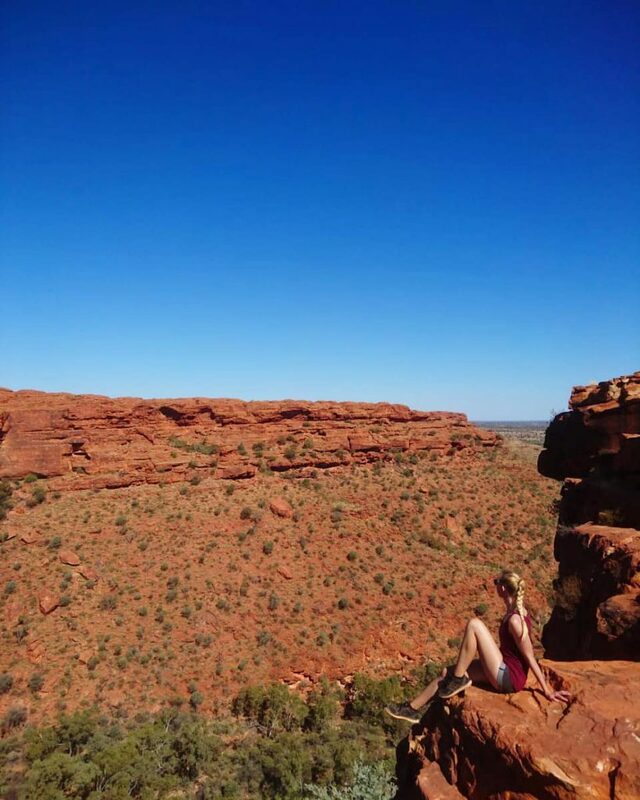 Located an hour from Uluru, the Kings Canyon Rim Walk is the perfect way to spend a day. The canyon comprises two different tracks, differing in length and difficulty. You can choose to complete a shorter 2km walk, following the creek bed. Alternatively, if adventure is more your thing, challenge yourself by taking on the Rim Walk. This 6km track takes you through iconic scenery. From sandstone cliffs to an abundance of cycads, nature lovers will not be disappointed. Passing through the famous Flinders Ranges, the Arkaba Walk is home to millions of years of geological history. This bush track provides sweeping views of rugged sandstones and dry creek beds. Keep your eyes peeled for kangaroos and emus, they’re regularly seen here! If you depart from Wilpena Pound, this walk can take up to four days. We suggest completing as much of the track as you wish to, as there’s no compulsory start and end. Prepare for the heat by wearing sunscreen and supportive footwear. And, of course, bring plenty of water! Located 35 kilometres east of Melbourne, the Dandenong Ranges are the perfect city escape. Embrace your inner adventurer and trek through this spectacular rainforest at your own leisurely pace. Home to stunning waterfalls, diverse wildlife and a dozen walking tracks, the Dandenong Ranges are suited for all fitness levels. If you’re travelling with kids, we recommend completing the Olinda Creek Walking Track. Departing at Silvan Reservoir Park, this two-hour walk (5.6 kilometres) is an easy grade. Along the way you’ll discover lush native forest and spectacular fern-filled gullies. Keep your eyes peeled for black wallabies and kookaburras – they’re sighted quite regularly. 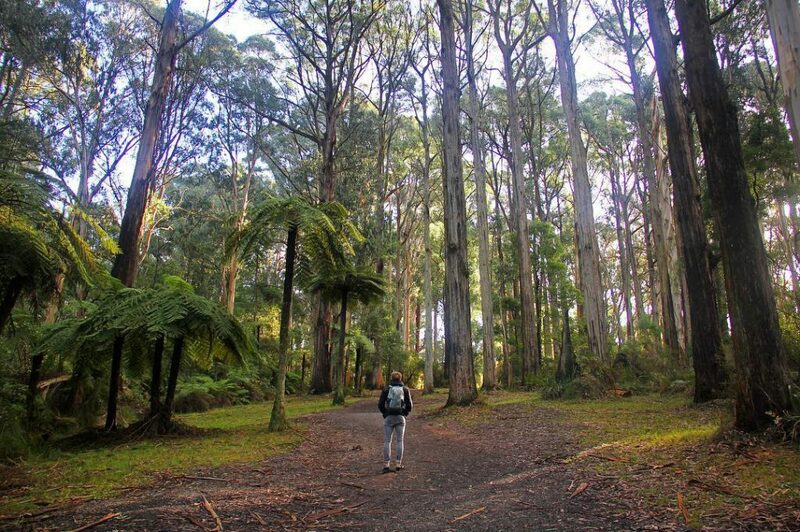 For those more adventurous, we suggest tackling the Dandenong Ranges Tourist Track. This 17-kilometre walk takes approximately six hours to complete. Throughout your journey you’ll discover spectacular creeks and eucalyptus trees.